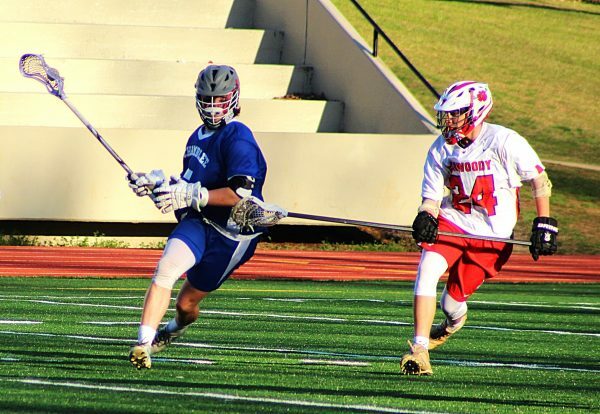 The Dunwoody Wildcats jumped out to a 6-0 lead in the first period in a 17-5 victory over the Chamblee Bulldogs in the first ever boys’ lacrosse meeting between the two DeKalb County rivals. Connor Brogdon got the Wildcats rolling with two quick goals in the first 2:07 of the game. His first goal came with 10:16 remaining as he intercepted a pass in Dunwoody’s offensive end of the field and quickly put the ball in the net for the 1-0 lead. He scored again with 9:53 to play to make it 2-0. Sean Fox would make it 3-0 as he went straight up the middle of the Chamblee defense for a one-on-one with the goalie he won just seven seconds after Brogdon’s second goal. The pair would team up on the next two Dunwoody goals as Fox made some nice passes to the cutting Brogdon who put the ball into the net both times from out front to make it 5-0 with 5:24 left in the first period. Carson Bregitzer made it 6-0 with 2:50 left in the period before Chamblee’s Davis Cooke puts the Bulldogs on the board from about 15 yards out to trim the lead to 6-1 heading into the second period. Dunwoody opened the second period quickly as well with Bregitzer scoring a pair of quick goals to extend the lead to 8-1 with 9:27 left in the half. Just about a minute later Bregitzer set up Fox for another goal with a pass as the lead went to 9-1. Cooke found another opening from 15 yards out to put his second shot in the net for the Bulldogs to give Chamblee two goals in the half. Bregitzer got in close again with 5:38 to play and Michael Hudson added a goal less than 30 seconds later to make it an 11-2 Dunwoody lead. Zach Rosing got the ball behind the net and found Nick Fazzone in an opening out front who promptly scored as the first half clock ticked below one minute. The goal sent the Wildcats into the half up 12-2. The Bulldogs defense toughened to open the second half as the two teams went over five minutes without a score coming out of the break. Chamblee’s Elijah Brown broke the scoring drought at the 6:42 mark of the third period with a nice shot from the right side give the Bulldogs a third goal. Dunwoody got back on the offensive in the final six minutes of the third period with goals by Jeremiah Collier, Sam Dankbery and Noah Daly for a 15-3 Wildcat lead heading into the final 12 minutes of play. The lead went to 16-3 with 9:07 to play on a score by the Wildcats’ Sergie Valenenela. Chamblee’s Bart Turney scored a pair of goals in the final quarter as he sandwiched a goal by Dunwoody’s Jack Shatz to make the final of 17-5. 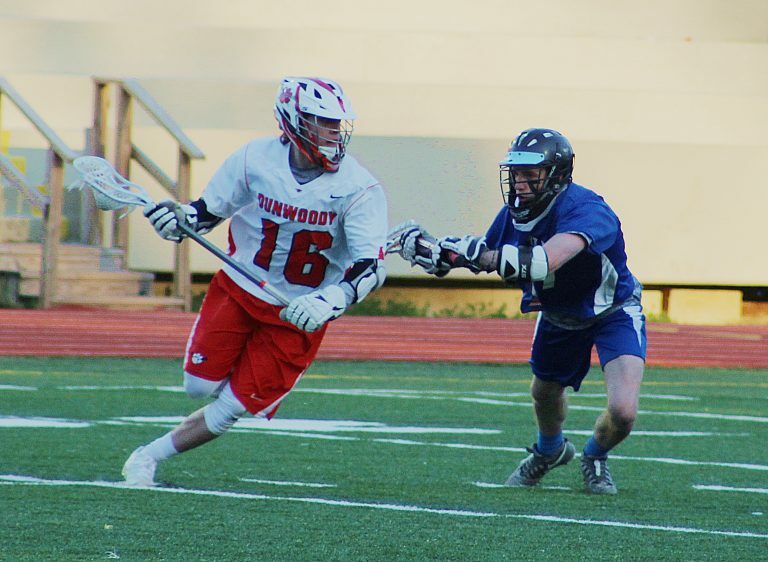 Dunwoody improved to 4-3 on the season led by four goals by both Conner Brogdon and Carson Bregitzer. Chamblee fell to 1-4 as Davis Cooke and Bart Turney both scored two goals for the Bulldogs.